Some Sundays are just there with many people going through their self-taught rituals of setting aside today to do a number of things they’ve decided must be done over any other day. Of course many have going to church on Sunday morning at the top of their lists, and then continue on with other duties they’ve set aside. I had to run to the grocery store around 11:00 a.m. and was shocked to find so many cars in the lot. There were only a few things I had to pick up for an elderly person who’s homebound and since I was dressed in my work clothes which the general public rarely ever see, I had to do a bit of darting through and dodging past aisles where people I’m acquainted with were casually shopping. I guess I’m a bit of a dinosaur amongst our citizenry of today since I’ve never considered doing full cart grocery shopping on Sunday. This morning’s experience was just another example of how family rituals have evolved. In years past, Sunday mornings were the times when people went to church and later would have a great breakfast either at home or at one of the cafes specializing in breakfasts. Sunday dinner was also considered one which offered a few more tasty dishes than other meals of the week. Most mothers were especially diligent in providing a Sunday dinner that was near being considered of the holiday fashion. I’ll not go on about the wonderful dishes my mother prepared as well as how she’d rarely ever purchase something that was pre-cooked or factory made—for her, everything had to be made from scratch. Sunday afternoons and evenings were meant to be those times when people would either have visitors in or drive to be with some close family members or friends. It was also a time to just relax and catch up on reading or get back to some sort of craftwork which was slowly getting finished. It’s no wonder there are so many stores open on Sunday when finding there’s a new way in which to spend the day. I was a bit sad while at that grocery store because many of the shoppers were mothers with young children. I’m sure they’ll likely will grow up remembering Sundays to be nothing more than that day set aside to go grocery shopping with a parent or two. On a brighter side, I thought I’d share a clever idea that came to mind today when thinking about how we as residents of Mason City and the State of Iowa can start setting ourselves apart in a more positive way from the rest of our Nation. 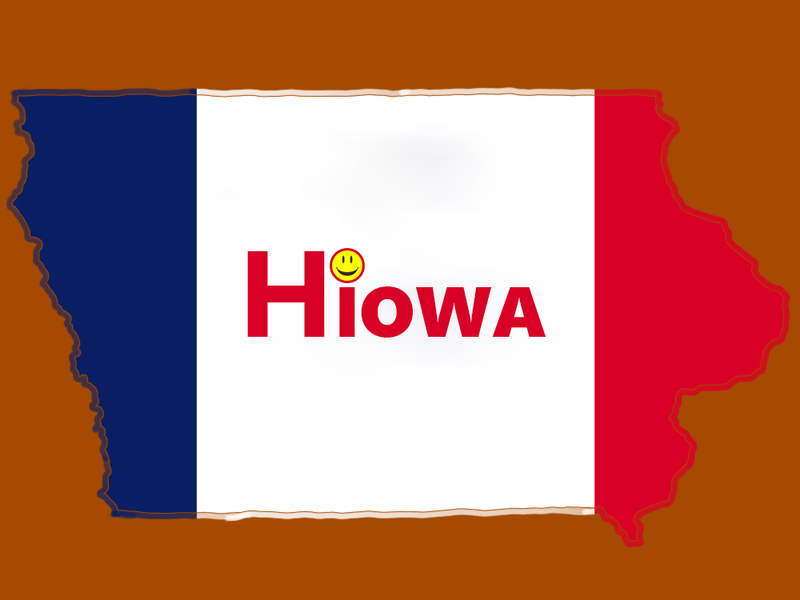 Let’s consider that every time we’ve stepped out of our selfish ways and have done something with no hidden agendas or possible further rewards or public recognitions, we’ll be able to call ourselves not Iowans, but Hiowans. There’re soulful folks considering themselves from Hiowa who freely do those things for others without a second thought. You’ll find a Hiowan not snow blowing only his sidewalk, but likely the whole length of his block. Hiowans always hold doors for others and smile while doing it. If you’re from Hiowa, you give everyone the benefit of the doubt, but only once. Hiowans always turn dark conversations light. If you’re from Hiowa, you’ll consider gossip the evil six letter word. Hiowans pick up trash others have thrown in public areas—again with smiles. If you’re from Hiowa you don’t care about the political or religious affiliations of others as long as they’re working selflessly for the betterment of all. You can always spot someone from Hiowa because they always seem to want to give rather than receive. Hiowas were the ones who invented the idea of “paying it forward”. Hiowans are the most admired for their ability to treat everyone the same irregardless of their social or economic status—for them everyone is special in their own way. Can any one of you call to mind people you personally know from Hiowa? If you do, then your eyes are better than most because they’re not always so readily noticed. And don’t forget, all smiles are still free for the taking in Hiowa.